The 9000 Series is a four-door commuter-type electric multiple unit designed by the Teito Rapid Transit Authority (TRTA) for use on the Nanboku Line. 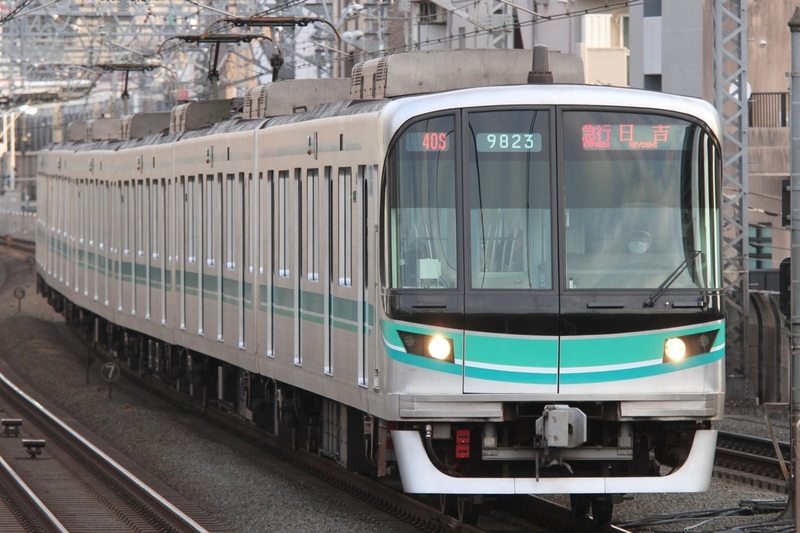 The Nanboku Line was built with many steep climbs throughout it and to deal with these, the 9000 Series was given high-output AC induction motors controlled by variable frequency drive. It was the first mass produced train designed by the TRTA to use these. The 9000 Series is also equipped with Automatic Train Operation (ATO) Equipment and requires the driver only to press the button to start the train after every stop. 9000 Series trains are operated mainly with the driver only but equipment for a conductor is included. The fifth batch of trains built in 2009 received many changes including redesigned end cars and a switch from aluminum single-skin to double-skin construction.